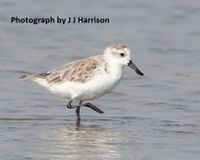 Chinese trappers are illegally catching shorebirds indiscriminately -- including critically endangered spoon-billed sandpipers. There are just 100 breeding pairs of spoon-billed sandpipers left on earth. That makes them one of the most endangered bird species in the world. Illegal trapping in China could push them over the edge to extinction. Tell Chinese officials to crackdown on illegal shorebird trapping. Mist nets -- put up to illegally catch birds for the meat industry -- catch all shorebirds indiscriminately, including these critically endangered spoon-bill sandpipers and other threatened species. Conservationists in China reported the practice to authorities, but so far their pleas have gone unanswered. We can help make Chinese officials pay attention by showing them the world is watching and won't tolerate their laissez-faire attitude. Sign the petition to demand government officials take action to protect endangered shorebirds from illegal trapping. farizal.com. Simple theme. Theme images by Cimmerian. Powered by Blogger.